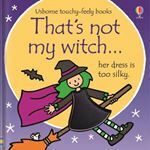 There are five friendly witches to meet in this Halloween addition to the much-loved That's not my... series. Babies and toddlers will love turning the pages and touching the textured patches as they try to find their witch. The bright pictures and textured patches to stroke are designed to help develop sensory and language awareness. The brand new picture book from the beloved and iconic Judith Kerr. Steve Antony's Mr Panda is back in another visual treat with a strong theme of patience. Share in fifty years of magic... The classic story of Sophie and her extraordinary teatime guest is loved by millions of children and was first published fifty years ago. 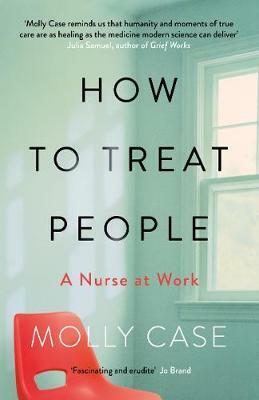 Now available in a new, cased board book format. Includes everything that is familiar to a young child. This book features iconic illustrations that present a vast array of baby paraphernalia that should be instantly recognizable and absorbing to a young child. Elmer discovers that all the baby animals have teddies, but Baby Elephant's remains missing until Elmer's cousin, Wilbur, gets involved in the search. Wilbur plays a joke on Elmer as usual, but one that helps Elmer find the missing teddy bear which is then restored to Baby Elephant just in time for bed! Rosie the hen is going for a walk. But she'd better watch out - there's a sneaky fox on the prowl . . . The spare text is cleverly complemented by pictures that tell more than the words give away - ideal for building visual literacy for the very youngest readers. Contains what you and your child need for hours of festive fun. This illustrated first Christmas book with a squishy padded cover and sturdy tabs includes five classic Christmas carols to sing along to: "Away in a Manger", "The First Noel", "O Little Town of Bethlehem", "We Three Kings" and "Silent Night". A board book is a suitable introduction to the Christmas nativity story for young children. It contains simple text and bright pictures that bring the classic story to life. Did you ever go to Silversands on a sunny summer's day? Then perhaps you saw the mermaid who sang in the deep blue bay. 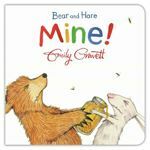 Can Hare learn to share with his best friend Bear? It's Christmas, and Spot and his friends are very excited! All the presents are wrapped up, but who's getting what? New cover and format reissue of this classic story about everyone's favourite family cat! A board book edition of this bestselling picture book. A roaringly great buggy book! Even very little toddlers will love turning the die-cut pages of this buggy book and discovering all the different shapes and sizes of these dinosaurs. Use the handy strap and clip to attach this sturdy board book to your buggy and take it with you wherever you go! For over a quarter of a century readers have been joining Elmer the patchwork elephant on his exciting adventures. Now Elmer's classic first story is available in this lovely board book edition. 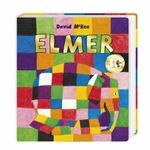 With its sturdy pages for little fingers, this gift is the perfect introduction to the world of Elmer. Welcome to the Moominhouse! Full of secrets and extraordinary creatures, the curious explorer is rewarded by magical discoveries... Little My is looking for her friend Moomintroll - where can he be? In The Further Tale of Peter Rabbit, a new tale written by Emma Thompson, Peter's adventures take him beyond the boundaries of Mr McGregor's garden all the way to Scotland. Here he meets the gentle giant Finlay McBurney, a distant Scottish relative, and much entertainment ensues. Lets you join the Very Hungry Caterpillar for some Christmas counting fun from 1 to 10. Suitable for children, this title covers colourful collage illustrations and its deceptively simply, hopeful story. It features die-cut pages and finger-sized holes to explore. This title comes in sturdy, shaped board for small hands. It is an early information book and has some amazing facts about triceratops. 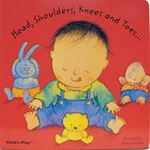 Bouncy illustrations, innovative die cutting and popular rhymes make Books with Holes a must for every child. Available in three formats, suitable for babies, toddlers, pre-schoolers and the nursery or classroom. A celebration of a child's growing self awareness, and a prime example of how books can contribute to this. A very simple board book with brightly coloured, high-contrast illustrations, and holes and finger trails suitable for babies and very young children. With an elasticated plastic attachment to attach the book to a buggy or baby gym, meaning it is always on hand to entertain and amuse, and will never get lost. Dinosaur That Pooped A Rainbow! When Dino and Danny see a rainbow in the sky, they go through and name all the colours they can see. But soon they notice there is one important colour missing and Dinosaur is keen to help correct it. Explores the world of Elmer and his colourful friends in this bright, fun first concepts play book. 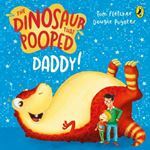 Suitable for parents and babies to enjoy together, this book is packed with stimulating colours and touch-and-feel areas to engage little ones. 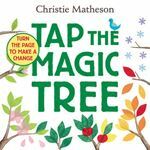 Invites the reader to tap, rub, touch, and wiggle illustrations to make an apple tree bloom, produce fruit, and lose its leaves. Lets you join Igglepiggle and his friends for a Christmas adventure. The story of a little boy who refuses to go to sleep. The absurdly funny sequel to the award-winning Oi Frog! from vibrant pairing Kes Gray and Jim Field.